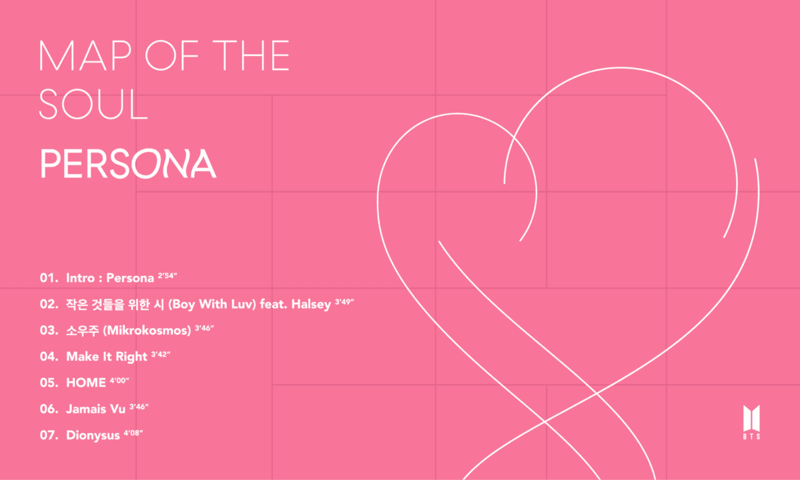 BTS’ “Boy With Luv” continues to reap great results for the group in less than a week after its release! As reported by Soompi earlier today, the song of the Korean superstars with Halsey is ranked third on Spotify’s Global Top 200 chart as of April 13. This is one step higher than BTS’ debut on the charts in fourth place, and is currently the highest ranking that any Korean artist has achieved on the chart. On top of this latest feat is that all the songs from BTS’ new album “Map of the Soul: Persona” are also in the top 50 for the second consecutive day. This would be another first for a Korean artist, with “Mikrokosmos” at No. 22, “Make It Right” at No. 26, “HOME” at No. 28, “Dionysus” at No. 36, “Jamais Vu” at No. 39, and “Intro: Persona” at No. 50.